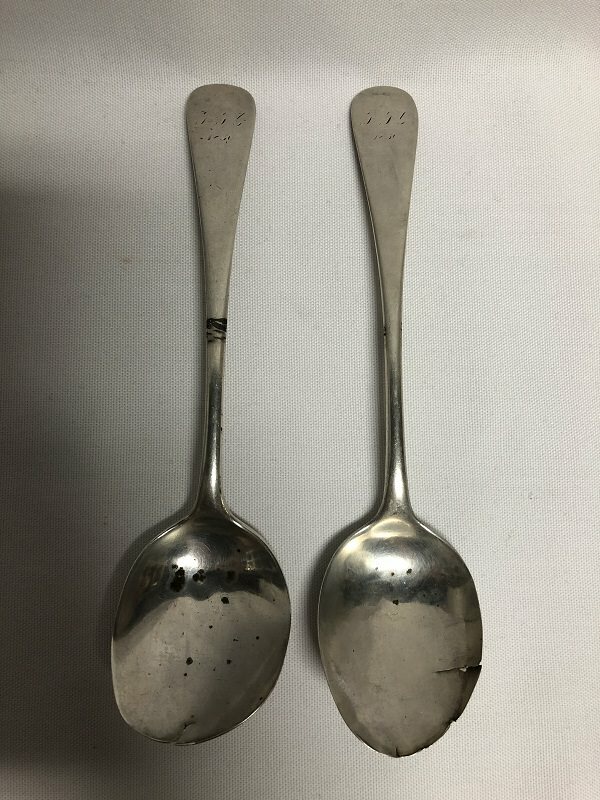 I picked up these spoons at a sale. I believe they are dated 1730 or 1731 on front. I'm having trouble identifying the maker or even reading the mark. 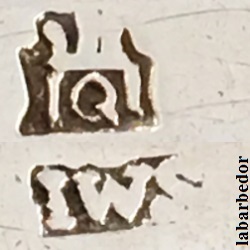 The last two letters are definitely "DE", but the first is too worn, possibly "I,S, or J". One of them appears to have an additional mark, but I have no idea what it might be. Can anyone help identify these? 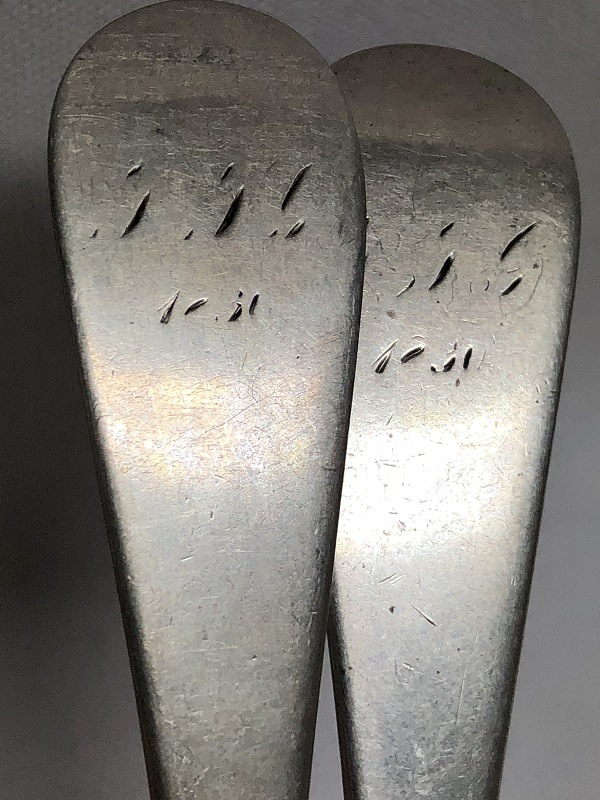 They're about 8" long and were purchased with with many other pieces of American coin silver. 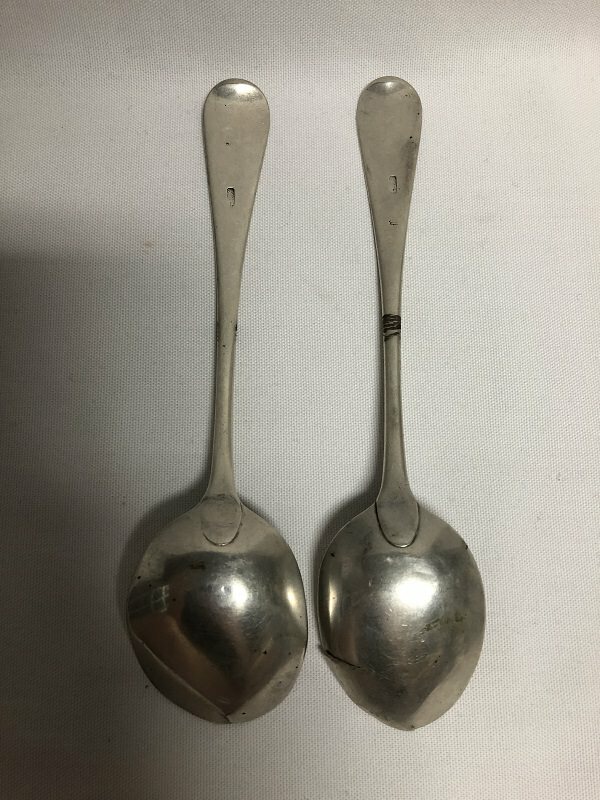 Not much help, but.....Book--"Early Connecticut Silver 1730-1840" found easily on-line (rules restrict links to commercial sites, but it starts with "GOO") has a period account of stolen items with one can "marked I.G.E." (???). Supposedly this victim got most of their stuff from Boston Silversmiths. Sorry, that should have read "marked I.D.E.". The style does not look like 1730's. Are there more marks? 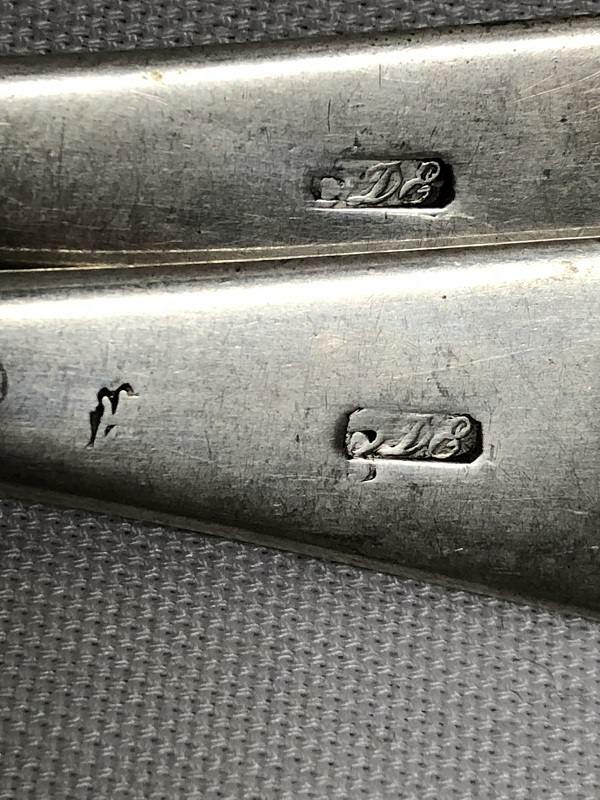 The worn engraved dates look more like 1830 to my eye...just can't see a "7" in there at all. Looking at the image with the marks, to the left there appears to be to be a partial city mark for Hamburg Germany. Was looking through the list of Hamburg marks on this site, very few of the cartouche conform to the shape of the gate except Johann J Wienickle 1858 - 1865. The letter in the center would have been an F, the top edge appears to be round. Do look through them to see of you can eliminate Hamburg altogether. Theo can also assist. Yes it is and 1830 is very possible. Well done Warren! Great sleuthing! But it has a great deal to do from what I have learned from all of you. Theo could you tell us who the particular Hamburg master whose letter was a Q? Now on the engraved date which as we all know can be added at any time in the life of an object, am leaning more towards a cursive seven. Certainly could be a partial eight. Yesterday had a 17th century engraving arrive, the backing sheet had four dates in old ink; 1476, 1477, 1478. The sevens all had the very distinct shape.